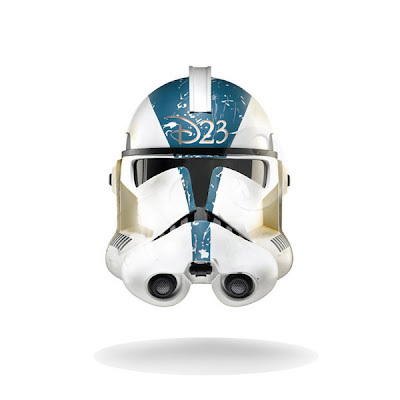 "In response to inquiries from Star Wars fan sites about Storm Troopers at the D23 Expo, D23 issues the following statement: "We were contacted by the Galactic Empire and have been advised that Imperial dignitaries will be attending Disney's D23 Expo," said Steven Clark, head of D23. "As a result, a legion of Storm Troopers from the 501st Battalion will be patrolling the Anaheim Convention Center on Saturday, September 12." There's an official promo reel that they've put up on you YouTube you might want to take a look at. And they've started some viral teases with videos like this one here. And don't forget to check out D23's Twitter page for continued updates. Well Darth Jesus I just knew another Star Wars post was coming from Blueskywalker. What are you talking about? I didn't write this. I've been a Star Wars fan since day 1 (and I do mean May 25, 1977), but do we really need a Star Wars presence at D23? I don't see Mickey and the gang showing up at Star Wars conventions. "I don't see Mickey and the gang showing up at Star Wars conventions." Star Tours is so lame. I wish Lucas would stop whoring out Star Wars and let it die with the only ounce of dignity it has left. Hey, there are a lot of Lucasfilm influences at the Disney parks. Between this and Indy and all the merchandise they sell. Plus, someday Lucas is going to step away from what he's built. I think the company is positioning itself to show him they can take care of his properties. Including future films? Hmmmm. Dude, you are in touch with good entertainment! You include whatever you like! I'll still read it! Yeah I'm with Todd. I have been been reading your daily updates for over a year now and have enjoyed everything you write about. I found this site by way of the other Disney blogs, but what has kept me around is the great diversity of what you write about. I think you capture perfectly what those who are disney/apple/star wars/movie nerds want to hear about. Keep up the great work!